Innovations in Science Teacher Education is the practitioner journal of the Association for Science Teacher Education. Practitioner journals are often misunderstood, and at times, undervalued. Take our university for example. We are science educators in the Department of Physics, Astronomy and Geosciences within the Fisher College of Science and Mathematics. Our college contains mathematicians, computer scientists, scientists, and science and mathematics educators. As such, we have a department chair who is a physicist and a dean who is a geologist. The science educators in the college have often needed to explain the work of science educators to our colleagues and administrators, especially as related to promotion and tenure discussions. In our college’s past, practitioner journals were misunderstood as a place for manuscripts that were not selected for publication in prestigious research journals like the Journal of Science Teacher Education. Practitioner articles were also perceived by some faculty in our college as being extremely easy to write because they were shorter in length compared to research manuscripts, and printed on glossy paper. We are glad to say that our department and college now have a much better understanding of what a practitioner journal is and why it is important to our field. Science educators prepare the next generation of science teachers and there is great value in sharing our practice with other science educators. One of the hallmarks of teaching is discussing great ideas with peers to implement with your own students. Practitioner journals provide an outlet for sharing ideas about preparing science teachers within the peer-review process to help ensure the ideas are innovative, engaging, and of broad interest to science educators. At an institution like ours, an institution that is not research intensive, but values teaching (65%), research (25%), and service (10%), teaching is the majority of our workload. As such, it makes sense that we teach well. We are practitioners. That is to say, we practice what we teach others to do. So, it is critically important that we have an outlet to share how we teach, design lessons and programs, implement professional development programs, and assess our progress as science educators. Practitioner journals provide a place to do so. But what about research intensive universities? Even among science educators at universities with the highest research activity, the preparation of science teachers is arguably as important as developing and reporting on grant-funded research programs. Moreover, many grant-funded programs focus on preparing science teachers in innovative ways. The results of this type of work are not only applicable to research journals, but the details of the program are important to other practitioners. The Innovations journal is a place to report the details of the program: what was done, why it was done, how well it worked, and what lessons you learned along the way. Thus, Innovations serves as another way to disseminate information about grant-funded projects. Practitioner journals like Innovations serve a unique niche in helping other science educators reflect upon their work with preservice and inservice science teachers and incorporate innovative practices in their curriculum or professional development programming. While there is no disputing the important role research plays in the work of science educators, the work science educators do in and out of the classroom to prepare preservice and inservice science teachers is equally important. Unfortunately, we have heard stories from our colleagues at other institutions where the work of preparing science teachers seems undervalued due to the view that publishing in practitioner journals is not something that “counts” for promotion and tenure decisions. Given the often central role of our positions in developing science teachers it seems that one would be derelict in their duties not to try to enhance their instruction by learning more about innovative teaching strategies or sharing their own innovative teaching strategies. A search for the terms “practitioner journals” indicates a nonexistent literature base on just what a practitioner journal is or why they are important. However, such a search yields numerous examples of practitioner journals across many fields of study. Many fields have found it advantageous to foster collegial discussions of their practice and a way to provide ongoing professional development. Science educators are no different. Prior to Innovations, science educators had journals that served as outlets for sharing their practice in K-12 classrooms, and some content specific journals for sharing their work preparing science teachers in a narrow field. Innovations is a practitioner journal that welcomes innovative ideas for preparing preservice and inservice science teachers for any grade band or science content field. We hope all science educators find value in sharing their innovative ideas in this practitioner journal and that your work as a practitioner is valued by your institutional colleagues. After all, the teaching which we continue to practice is what drew many of us to academia in the first place. The mission of the Association for Science Teacher Education (ASTE) is to promote excellence in science teacher education world-wide through scholarship and innovation. This mission is especially crucial during a time when there is much attention focused on science education reform, improving science teacher quality, and science teacher accountability. Accordingly, science educators around the globe are called upon to respond to these challenges through innovative and cutting-edge efforts. The ASTE is poised to address these challenges through the creation of its official practitioner journal, Innovation in Science Teacher Education (Innovations). The Innovations journal provides the ASTE’s internationally renowned membership with a key outlet to share their innovative efforts regarding the preparation of preservice and inservice science teachers. “Yes, I would love to see this article published – it is exactly the sort of article that reflects the goals of Innovations in Science Teacher Education. I know I already got ideas for modifying my similar course out of reading it, and I am sure others will too! I especially appreciated how many details were provided and the thinking/planning behind implementing this pedagogical change” (Reviewer). “This is a good write-up of an excellent activity with important implications for teachers and teacher educators” (Reviewer). “I liked reading about the activities and will most likely include them (or some) in my instruction. I think that other science educators will also find this interesting” (Reviewer). We believe that the litmus test for whether something is innovative is that if you share your idea (e.g. lesson; course redesign; common theme for a course; teacher education program redesign; professional development settings; or a collaborative effort with other departments involved in science teacher education) with a colleague, and they provide you with comments such as those mentioned by our reviewers, your idea is likely innovative. Accordingly, we encourage you to share your passion and your exceptional work via the Innovations journal. It is also evident from the reviewers’ comments that the transferability of the innovative work to other settings is often an important aspect of the manuscript. Innovations readers will look to the journal to inform their practice and contemplate new and innovative ways of engaging the preservice and/or inservice science teachers with whom they work. As such, the extent to which the ideas shared are applicable in other contexts and settings is an important factor Innovations reviewers are keenly aware of as they review manuscripts. The articles found in this inaugural issue meet this litmus test. According to the authors, they were able to determine that their work was innovative by discussing their ideas with colleagues at the ASTE International Conference and being mindful of how their ideas were received by their peers. 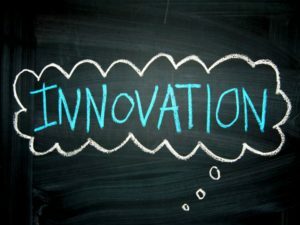 The Merriam-Webster dictionary defines innovation as a new idea or method, or the act or process of introducing new ideas or methods (innovation, n.d.). 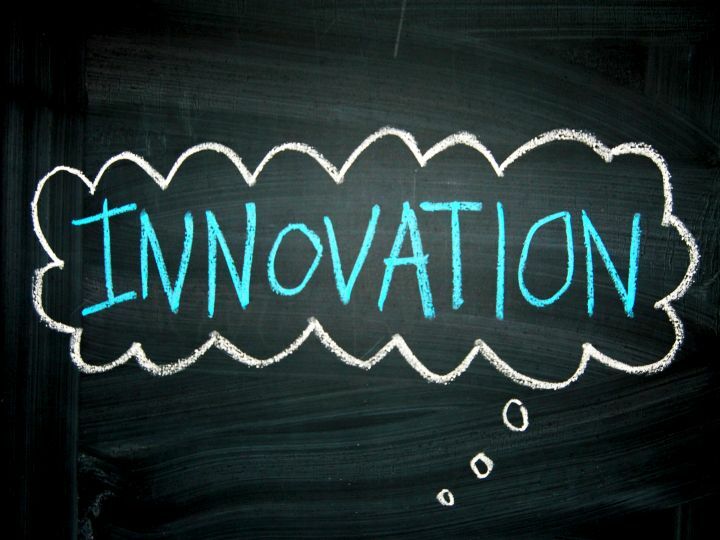 Although we believe that innovation can refer to this definition, we also believe that innovation can simply be a change made to an existing idea, but with a fresh new lens or perspective. Since science teacher education is constantly changing, we are continuously in need of fresh new perspectives. Thus, we encourage science teacher educators, scientists, science coordinators and supervisors, and informal science educators who prepare and provide professional development for teachers of science at all grade levels to share their innovative ideas with our international science education community through the Innovations journal. Innovations is the official peer-reviewed online practitioner journal of the ASTE that serves as a forum for disseminating effective instructional practices that are innovative and inspirational. This notion is in accord with Akpan (2010) who suggests that innovation draws attention to the important role of science teacher education associations, whereby its members not only have the insights, but also the interest in helping science teacher colleagues. Akpan (2010) further emphasizes that the key role of such professional bodies in developing science teacher educators, and the sharing of experiences at a collaborative level is essential to developing a more productive, innovative, and enthusiastic science teaching force. Thus, the articles published in Innovations are truly written by science teacher educators for science teacher educators, in the broadest sense of the word. Over the summer, take some time to reflect back on the innovative aspects of your lessons, classes, collaborations, and programs. Do you have an innovative idea to share with your colleagues? Will you be providing professional development for science teachers this summer? Consider sharing your ideas and lessons learned with colleagues by submitting a manuscript describing your outstanding work with preservice and inservice science teachers! 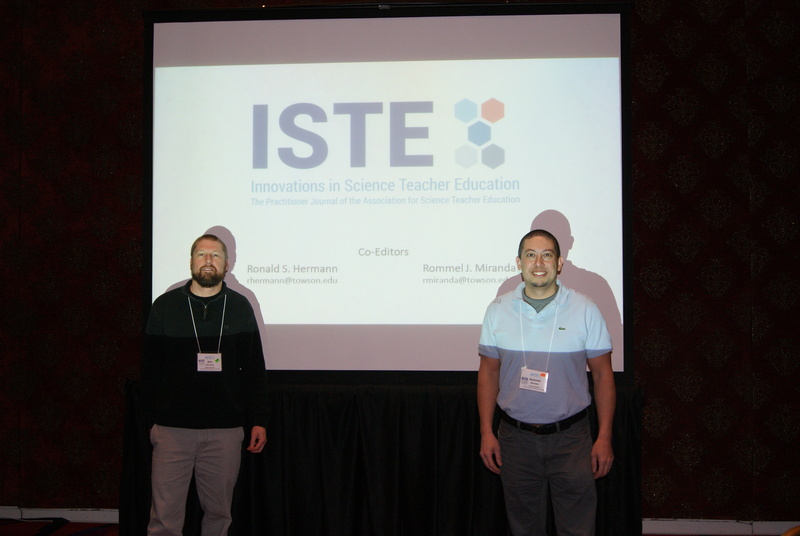 Also, be sure to check out our website to learn more about publishing in Innovations in Science Teacher Education by using the following link: https://innovations.theaste.org. Please be sure to review the instructions for authors section prior to submitting to ensure that your manuscript adheres to format guidelines and addresses each criterion. We look forward to receiving your manuscripts and want to thank everyone who is, and will be, participating in the submission and review of manuscripts. We hope that you enjoy the inaugural issue of the Innovations journal!